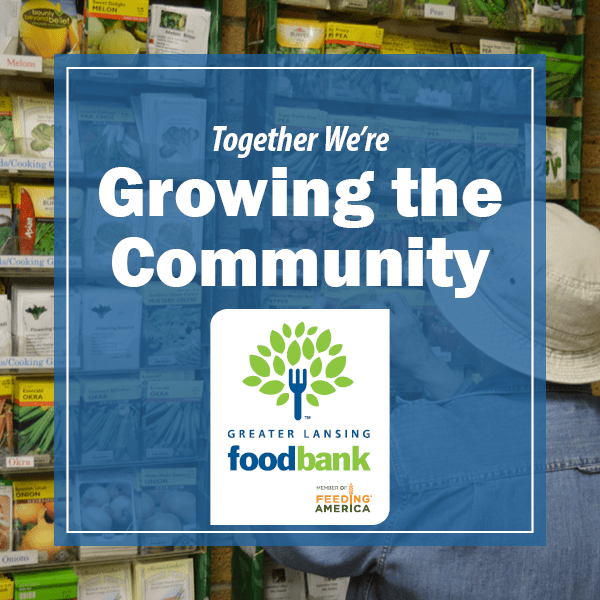 The Greater Lansing Food Bank provides much more than just meals. For some, it is the camaraderie of eating with friends and family. For others, it might simply be their peace of mind. For those facing hardship, kindness from the community can be hope for a brighter tomorrow. During the summer months, the Food Bank offers mid-Michigan residents the opportunity to grow their own healthy produce through the Garden Project. The benefits are numerous. Gardens can bring a sense of self-sufficiency. Children can learn about the food system. Community gardens help neighbors to get to better know one another. With over 125 gardens in the area and “garden to go” packs for home gardeners, there are plenty of ways to get involved. The Food Bank Garden Resource Center offers seeds, plant starts, tools and training to help everyone. I hope you’ll check out these and other resources available. The Garden Project is one of the many ways that the Greater Lansing Food Bank is growing the community. Jim Savage is a board member at Greater Lansing Food Bank. This entry was tagged garden project, Greater Lansing Food Bank. Bookmark the permalink.